Lucy is a Professor of Speech and Language who joined City University in 2013. She is a qualified Clinical Psychologist with research expertise in the development of memory and higher order thinking, specialising in children with various developmental disorders, including language impairment. Lucy's degree and PhD, Universities of Bristol and Oxford respectively, were both in Psychology, and her research focus was on memory development in children. She started her academic career lecturing in Developmental Psychology at Reading University, consolidating her interests in working memory, strategy development, and academic achievement. Lucy moved to the Institute of Psychiatry, King's College London, to train as a Clinical Psychologist, remaining there for several years as a Wellcome Research Fellow and developing new research into witness skills in children with intellectual disabilities. 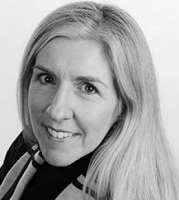 Further work on memory development, witness skills, and higher order thinking skills (executive functioning) was developed subsequently whilst Lucy worked as Professor of Psychology at London South Bank University, encompassing children with a wide range of intellectual and developmental disabilities (including specific language impairment, developmental coordination disorder, Down syndrome, Williams syndrome, autism spectrum disorder, maltreatment histories). Professor Lucy Henry's research interests are all in the field of cognitive development and developmental disabilities. They include working memory and higher order thinking (executive functioning) in typical children and those with developmental disorders (e.g. specific language impairment, intellectual disabilities, Williams syndrome, Down syndrome, developmental coordination disorder, complex trauma history, special educational needs, mathematical difficulties, dyslexia); and memory and witness skills in those with intellectual and developmental disabilities (autism spectrum disorders, intellectual disabilities). Lucy has a long-standing interest in the use and development of memory strategies, particularly 'inner speech' and verbal rehearsal, and have recently developed a protocol for training working memory skills in primary school-age children. She is also interested in the relationships between working memory, executive functioning and educational achievements (e.g. reading, mathematics, vocabulary development) in children who have typical and atypical development. - 2014-2017, Executive functioning in children with developmental coordination disorder - PhD Extension for follow-up study. ; Waterloo Foundation, Reference 920/2318, £9,489. With Hayley Leonard, Elisabeth Hill (Goldsmiths). Principal Investigator. - 2013-2016, Access to justice for children with autism spectrum disorders, ESRC Reference ES/J020893/1, £370,000. With Laura Crane and Rachel Wilcock. Principal Investigator. - 2012-2013, Executive functioning in children with developmental coordination disorder. ; Waterloo Foundation. £42,115. With Hayley Leonard, Elisabeth Hill (Goldsmiths). Principal Investigator. - 2012, Experiences of receiving and communicating a diagnosis of autism spectrum disorder. British Academy, Reference SG112070, £9,973. With Laura Crane, Lorna Goddard (Goldsmiths) and Elisabeth Hill (Goldsmiths). Co-Investigator. - 2011, Training working memory in five- to -eight-year-olds. London South Bank University Enterprise Opportunities Fund, £5,000. With Gilly Nash (LSBU). Principal Investigator. - 2010-2013, Inner speech in children with Down and Williams syndrome. Swedish Council for Working Life and Social Research (Forskningsrådet för arbetsliv och socialvetenskap), £175,000. With Henrik Danielsson and Jerker Rönnberg (Linköping University, Sweden) and David Messer (Open University). Co-Investigator. - 2009-2010, Executive functioning in children with intellectual disabilities, Leverhulme Visiting Research Fellowship, hosting Dr. Henrik Danielsson from Linköping University, Sweden, £17,000. Co-Investigator. - 2008-2010, Executive functioning in children with specific language impairment. Economic and Social Research Council, Grant Number RES-062-23-0535, £222,103. With David Messer (Open University). Principal Investigator. Henry, L. (2011). The Development of Working Memory in Children. SAGE. ISBN 978-1-84787-328-6. Henry, L.A., Messer, D. and Poloczek, S. (2018). Working memory and intellectual disabilities. In Alloway, T. (Ed. ), Working Memory and Clinical Developmental Disorders Theories, Debates and Interventions Routledge. ISBN 978-1-315-30206-5. Henry, L.A. (2014). Executive functions and language development/processing. In Brooks, P. and Kemp, V. (Eds. ), Encyclopedia of Language Development SAGE Publications. ISBN 978-1-4833-8977-6. London, K., Henry, L.A., Conradt, T. and Corser, R. (2012). Suggestibility and Individual Differences in Typically Developing and Intellectually Disabled Children. Suggestibility in Legal Contexts: Psychological Research and Forensic Implications (pp. 129–148). ISBN 978-0-470-66369-1. Henry, L.A., Bettenay, C. and Carney, D.P.J. (2011). Children with Intellectual Disabilities and Developmental Disorders. Children's Testimony: A Handbook of Psychological Research and Forensic Practice (pp. 251–283). ISBN 978-0-470-68677-5. Henry, L.A. and Kumar, C. (1999). Risk assessments of infants born to parents with a mental health problem or learning disability. In Weir, A. and Douglas, A. (Eds. ), Child Protection and Adult Mental Health: Conflict of Interest? (pp. 49–62). Oxford: Butterworth Heinemann. Rowe, A., Titterington, J., Holmes, J., Henry, L.A. and Taggart, L. (2019). Interventions targeting working memory in 4-11 year olds within their everyday contexts: a systematic review. Developmental Review, 52, pp. 1–23. doi:10.1016/j.dr.2019.02.001 . Henry, L.A., Crane, L., Nash, G., Hobson, Z., Kirke-Smith, M. and Wilcock, R. (2018). Response to ‘No Evidence Against Sketch Reinstatement of Context, Verbal Labels or Registered Intermediaries’. Journal of Autism and Developmental Disorders, 48(7), pp. 2597–2599. doi:10.1007/s10803-018-3496-y . Crane, L., Batty, R., Adeyinka, H., Goddard, L., Henry, L.A. and Hill, E.L. (2018). Autism diagnosis in the United Kingdom: Perspectives of autistic adults, parents and professionals. Journal of Autism and Developmental Disorders. doi:10.1007/s10803-018-3639-1 . Wilcock, R., Crane, L., Hobson, Z., Nash, G., Kirke-Smith, M. and Henry, L.A. (2018). Supporting child witnesses during identification lineups: Exploring the effectiveness of Registered Intermediaries. Applied Cognitive Psychology, 32(3), pp. 367–375. doi:10.1002/acp.3412 . Gordon, R., Smith-Spark, J.H., Newton, E.J. and Henry, L.A. (2018). Executive function and academic achievement in primary school children: The use of task-related processing speed. Frontiers in Psychology, 9(APR). doi:10.3389/fpsyg.2018.00582 . Bernardi, M., Leonard, H., Hill, E., Botting, N. and Henry, L.A. (2017). A two-year follow-up study of executive functions in children with Developmental Coordination Disorder. Developmental Medicine and Child Neurology, 60(3), pp. 306–313. doi:10.1111/dmcn.13640 . Henry, L.A., Crane, L., Nash, G., Hobson, Z., Kirke-Smith, M. and Wilcock, R. (2017). Verbal, Visual, and Intermediary Support for Child Witnesses with Autism During Investigative Interviews. Journal of Autism and Developmental Disorders, 47(8), pp. 2348–2362. doi:10.1007/s10803-017-3142-0 . Smith-Spark, J.H., Henry, L.A., Messer, D.J. and Zięcik, A.P. (2017). Verbal and Non-verbal Fluency in Adults with Developmental Dyslexia: Phonological Processing or Executive Control Problems? Dyslexia, 23(3), pp. 234–250. doi:10.1002/dys.1558 . Collins, D. and Henry, L. (2016). Eyewitness recall and suggestibility in individuals with Down syndrome. Journal of Intellectual Disability Research, 60(12), pp. 1227–1231. doi:10.1111/jir.12310 . Kirke-Smith, M., Henry, L.A. and Messer, D. (2016). The Effect of Maltreatment Type on Adolescent Executive Functioning and Inner Speech. Infant and Child Development, 25(6), pp. 516–532. doi:10.1002/icd.1951 . Poloczek, S., Henry, L.A., Danielson, H., Büttner, G., Mähler, C., Messer, D.J. … Molen, M.J.V.D. (2016). Strategic verbal rehearsal in adolescents with mild intellectual disabilities: A multi-centre European study. Research in Developmental Disabilities, 58, pp. 83–93. doi:10.1016/j.ridd.2016.08.014 . Rogers, C.L., Goddard, L., Hill, E.L., Henry, L.A. and Crane, L. (2016). Experiences of diagnosing autism spectrum disorder: A survey of professionals in the United Kingdom. Autism, 20(7), pp. 820–831. doi:10.1177/1362361315611109 . Messer, D., Henry, L.A. and Nash, G. (2016). The relation between executive functioning, reaction time, naming speed, and single word reading in children with typical development and language impairments. British Journal of Educational Psychology, 86(3), pp. 412–428. doi:10.1111/bjep.12115 . Danielsson, H., Henry, L., Messer, D., Carney, D.P.J. and Rönnberg, J. (2016). Developmental delays in phonological recoding among children and adolescents with Down syndrome and Williams syndrome. Research in Developmental Disabilities, 55, pp. 64–76. doi:10.1016/j.ridd.2016.03.012 . Bernardi, M., Leonard, H.C., Hill, E.L. and Henry, L.A. (2016). Brief report: Response inhibition and processing speed in children with motor difficulties and developmental coordination disorder. Child Neuropsychology, 22(5), pp. 627–634. doi:10.1080/09297049.2015.1014898 . Smith-Spark, J.H., Henry, L.A., Messer, D.J., Edvardsdottir, E. and Ziecik, A.P. (2016). Executive functions in adults with developmental dyslexia. Research in Developmental Disabilities, 53-54, pp. 323–341. doi:10.1016/j.ridd.2016.03.001 . Crane, L., Chester, J.W., Goddard, L., Henry, L.A. and Hill, E. (2016). Experiences of autism diagnosis: A survey of over 1000 parents in the United Kingdom. Autism, 20(2), pp. 153–162. doi:10.1177/1362361315573636 . Henry, L.A., Messer, D.J. and Nash, G. (2015). Executive functioning and verbal fluency in children with language difficulties. Learning and Instruction, 39, pp. 137–147. doi:10.1016/j.learninstruc.2015.06.001 . Bettenay, C., Ridley, A.M., Henry, L.A. and Crane, L. (2015). Changed Responses Under Cross-examination: The Role of Anxiety and Individual Differences in Child Witnesses. Applied Cognitive Psychology, 29(3), pp. 485–491. doi:10.1002/acp.3125 . Leonard, H.C., Bernardi, M., Hill, E.L. and Henry, L.A. (2015). Executive Functioning, Motor Difficulties, and Developmental Coordination Disorder. Developmental Neuropsychology, 40(4), pp. 201–215. doi:10.1080/87565641.2014.997933 . Jones, L., Goddard, L., Hill, E.L., Henry, L.A. and Crane, L. (2014). Experiences of Receiving a Diagnosis of Autism Spectrum Disorder: A Survey of Adults in the United Kingdom. Journal of Autism and Developmental Disorders, 44(12), pp. 3033–3044. doi:10.1007/s10803-014-2161-3 . Bettenay, C., Ridley, A.M., Henry, L.A. and Crane, L. (2014). Cross-examination: The Testimony of Children With and Without Intellectual Disabilities. Applied Cognitive Psychology, 28(2), pp. 204–214. doi:10.1002/acp.2979 . Kirke-Smith, M., Henry, L. and Messer, D. (2014). Executive functioning: Developmental consequences on adolescents with histories of maltreatment. British Journal of Developmental Psychology. Henry, L.A., Messer, D.J. and Nash, G. (2014). Testing for Near and Far Transfer Effects with a Short, Face-to-Face Adaptive Working Memory Training Intervention in Typical Children. Infant and Child Development, 23(1), pp. 84–103. doi:10.1002/icd.1816 . Van der Molen, M.J., Henry, L.A. and Van Luit, J.E.H. (2014). Working memory development in children with mild to borderline intellectual disabilities. Journal of Intellectual Disability Research, 58(7), pp. 637–650. doi:10.1111/jir.12061 . Carney, D.P.J., Henry, L.A., Messer, D.J., Danielsson, H., Brown, J.H. and Rönnberg, J. (2013). Using developmental trajectories to examine verbal and visuospatial short-term memory development in children and adolescents with Williams and Down syndromes. Research in Developmental Disabilities, 34(10), pp. 3421–3432. doi:10.1016/j.ridd.2013.07.012 . Wilcock, R. and Henry, L. (2013). The Performance of Eyewitnesses with Intellectual Disabilities on Photographic Identification Line-ups. International Journal of Disability, Development and Education, 60(1), pp. 44–52. doi:10.1080/1034912X.2013.757141 . Van der Molen, M.J., Henry, L.A. and Van Luit, J.E.H. (2013). Working memory development in children with mild to borderline intellectual disabilities. Journal of Intellectual Disability Research. Carney, D.P.J., Brown, J.H. and Henry, L.A. (2013). Executive function in Williams and Down syndromes. Research in Developmental Disabilities, 34(1), pp. 46–55. doi:10.1016/j.ridd.2012.07.013 . Henry, L.A., Messer, D., Luger-Klein, S. and Crane, L. (2012). Phonological, visual, and semantic coding strategies and children's short-term picture memory span. Quarterly Journal of Experimental Psychology, 65(10), pp. 2033–2053. doi:10.1080/17470218.2012.672997 . Danielsson, H., Henry, L., Messer, D. and Rönnberg, J. (2012). Strengths and weaknesses in executive functioning in children with intellectual disability. Research in Developmental Disabilities, 33(2), pp. 600–607. doi:10.1016/j.ridd.2011.11.004 . Henry, L.A., Messer, D.J. and Nash, G. (2012). Executive functioning in children with specific language impairment. Journal of Child Psychology and Psychiatry and Allied Disciplines, 53(1), pp. 37–45. doi:10.1111/j.1469-7610.2011.02430.x . Henry, L.A., Messer, D., Luger-Klein, S. and Crane, L. (2012). Phonological, visual and semantic coding strategies in short-term picture memory span: How do they develop? Quarterly Journal of Experimental Psychology, 65(10), pp. 2033–2053. Henry, L.A., Messer, D.M. and Nash, G. (2012). Phonological and visual short-term memory in children with specific language impairment. Journal of Cognitive Education and Psychology, 11(1), pp. 45–56. Henry, L., Ridley, A., Perry, J. and Crane, L. (2011). Perceived credibility and eyewitness testimony of children with intellectual disabilities. Journal of Intellectual Disability Research, 55(4), pp. 385–391. doi:10.1111/j.1365-2788.2011.01383.x . Henry, L.A. (2010). The episodic buffer in children with intellectual disabilities: An exploratory study. Research in Developmental Disabilities, 31(6), pp. 1609–1614. doi:10.1016/j.ridd.2010.04.025 . Danielsson, H., Henry, L., Rönnberg, J. and Nilsson, L.G. (2010). Executive functions in individuals with intellectual disability. Research in Developmental Disabilities, 31(6), pp. 1299–1304. doi:10.1016/j.ridd.2010.07.012 . Henry, L.A. and Bettenay, C. (2010). The Assessment of Executive Functioning in Children. Child and Adolescent Mental Health, 15(2), pp. 110–119. doi:10.1111/j.1475-3588.2010.00557.x . Henry, L. and Winfield, J. (2010). Working memory and educational achievement in children with intellectual disabilities. Journal of Intellectual Disability Research, 54(4), pp. 354–365. doi:10.1111/j.1365-2788.2010.01264.x . Henry, L., Cornoldi, C. and Mähler, C. (2010). Special issues on 'working memory and executive functioning in individuals with intellectual disabilities'. Journal of Intellectual Disability Research, 54(4), pp. 293–294. doi:10.1111/j.1365-2788.2010.01266.x . Dando, C., Wilcock, R., Milne, R. and Henry, L.A. (2009). A modified cognitive interview procedure for frontline police investigators. Applied Cognitive Psychology, 23(5), pp. 698–716. Henry, L. (2008). Short-term memory coding in children with intellectual disabilities. American Journal on Mental Retardation, 113(3). doi:10.1352/0895-8017(2008)113[187:SMCICW]2.0.CO;2 . McCrory, E., Henry, L.A. and Happé, F. (2007). Eye-witness memory and suggestibility in children with Asperger syndrome. Journal of Child Psychology and Psychiatry and Allied Disciplines, 48(5), pp. 482–489. doi:10.1111/j.1469-7610.2006.01715.x . Henry, L.A. and Gudjonsson, G.H. (2007). Individual and developmental differences in eyewitness recall and suggestibility in children with intellectual disabilities. Applied Cognitive Psychology, 21(3), pp. 361–381. doi:10.1002/acp.1280 . Smith, P.T., Turner, J.E., Brown, P.A. and Henry, L.A. (2006). The distinct contributions of age of acquisition and word frequency in auditory word perception. Quarterly Journal of Experimental Psychology, 59(12), pp. 2121–2134. doi:10.1080/17470210500438387 . Carlton-Conway, D., Ahluwalia, R., Henry, L., Michie, C., Wood, L. and Tulloh, R. (2005). Behaviour sequelae following acute Kawasaki disease. BMC Pediatrics, 5. doi:10.1186/1471-2431-5-14 . Henry, L.A. and Gudjonsson, G.H. (2004). The effects of memory trace strength on eyewitness recall in children with and without intellectual disabilities. Journal of Experimental Child Psychology, 89(1), pp. 53–71. doi:10.1016/j.jecp.2004.05.002 . Turner, J.E., Henry, L.A., Smith, P.T. and Brown, P.A. (2004). Redintegration and lexicality effects in children: Do they depend upon the demands of the memory task? Memory and Cognition, 32(3), pp. 501–510. doi:10.3758/BF03195842 . Henry, L.A. and Gudjonsson, G.H. (2003). Eyewitness Memory, Suggestibility, and Repeated Recall Sessions in Children with Mild and Moderate Intellectual Disabilities. Law and Human Behavior, 27(5), pp. 481–505. doi:10.1023/A:1025434022699 . Gudjonsson, G.H. and Henry, L. (2003). Child and adult witnesses with intellectual disability: The importance of suggestibility. Legal and Criminological Psychology, 8(2), pp. 241–252. doi:10.1348/135532503322363013 . Henry, L.A. and MacLean, M. (2003). Relationships between working memory, expressive vocabulary and arithmetical reasoning in children with and without intellectual disabilities. Educational and Child Psychology, 20, pp. 51–64. Henry, L.A. and MacLean, M. (2002). Working memory performance in children with and without intellectual disabilities. American Journal on Mental Retardation, 107(6). doi:10.1352/0895-8017(2002)1072.0.CO;2 . Henry, L.A. (2001). How does the severity of a learning disability affect working memory performance? Memory, 9(4-6), pp. 233–247. doi:10.1080/09658210042000085 . Henry, L.A. (2001). How does the severity of a learning disability affect working memory performance? Memory (Hove, England), 9(4), pp. 233–247. doi:10.1080/09658210042000085 . Henry, L.A., Turner, J.E., Smith, P.T. and Leather, C. (2000). Modality effects and the development of the word length effect in children. Memory, 8(1), pp. 1–17. doi:10.1080/096582100387678 . Turner, J.E., Henry, L.A. and Smith, P.T. (2000). The development of the use of long-term knowledge to assist short-term recall. Quarterly Journal of Experimental Psychology Section A: Human Experimental Psychology, 53(2), pp. 457–478. doi:10.1080/713755899 . Henry, L.A. and Gudjonsson, G.H. (1999). Eyewitness memory and suggestibility in children with mental retardation. American Journal on Mental Retardation, 104(6), pp. 491–508. doi:10.1352/0895-8017(1999)1042.0.CO;2 . Henry, L.A. and Williams, R.M. (1997). Problems in conceptualization within cognitive therapy: an illustrative case study. Clinical Psychology & Psychotherapy, 4(3), pp. 201–213. doi:10.1002/(sici)1099-0879(199709)4:33.3.co;2-u . Berry, D.C., Banbury, S. and Henry, L. (1997). Transfer across Form and Modality in Implicit and Explicit Memory. The Quarterly Journal of Experimental Psychology A, 50(1), pp. 1–24. doi:10.1080/027249897392206 . Russell, J., Jarrold, C. and Henry, L. (1996). Working Memory in Children with Autism and with Moderate Learning Difficulties. Journal of Child Psychology and Psychiatry, 37(6), pp. 673–686. doi:10.1111/j.1469-7610.1996.tb01459.x . Henry, L.A. and Norman, T. (1996). The Relationships between Memory Performance, Use of Simple Memory Strategies and Metamemory in Young Children. International Journal of Behavioral Development, 19(1), pp. 177–199. doi:10.1177/016502549601900113 . Michas, I.C. and Henry, L.A. (1994). The link between phonological memory and vocabulary acquisition. British Journal of Developmental Psychology, 12(2), pp. 147–163. doi:10.1111/j.2044-835x.1994.tb00625.x . Henry, L.A. (1994). The Relationship between Speech Rate and Memory Span in Children. International Journal of Behavioral Development, 17(1), pp. 37–56. doi:10.1177/016502549401700103 . Leather, C.V. and Henry, L.A. (1994). Working memory span and phonological awareness tasks as predictors of early reading ability. Journal of Experimental Child Psychology, 58(1), pp. 88–111. doi:10.1006/jecp.1994.1027 . Henry, L.A. and Millar, S. (1993). Why does memory span increase with age? : A review of the evidence for two current hypotheses. European Journal of Cognitive Psychology, 5, pp. 241–287. Henry, L.A. (1991). Development of auditory memory span: The role of rehearsal. British Journal of Developmental Psychology, 9(4), pp. 493–511. doi:10.1111/j.2044-835x.1991.tb00892.x . Henry, L.A. (1991). The Effects of Word Length and Phonemic Similarity in Young Children's Short-term Memory. The Quarterly Journal of Experimental Psychology Section A, 43(1), pp. 35–52. doi:10.1080/14640749108400998 . Henry, L.A. and Millar, S. (1991). Memory span increase with age: A test of two hypotheses. Journal of Experimental Child Psychology, 51, pp. 459–484. Henry, L.A., Messer, D.J., Wilcock, R., Nash, G., Kirke-Smith, M., Hobson, Z. … Crane, L. Do measures of memory, language, and attention predict eyewitness memory in children with and without autism? Autism and Developmental Language Impairments. Crane, L., Wilcock, R., Maras, K., Chui, W., Marti-Sanchez, C. and Henry, L.A. Mock juror perceptions of child witnesses on the autism spectrum: the impact of providing diagnostic labels and information about autism. Journal of Autism and Developmental Disorders. Poloczek, S., Henry, L.A., Messer, D.J. and Buettner, G. Do children use different forms of verbal rehearsal in serial picture recall tasks? A multi-method study. Memory. Henry, L.A., Messer, D.J. & Nash, G. Verbal fluency and executive skills in children with specific language impairment. Reading (2013). Kirke-Smith, M., Henry, L.A. & Messer, D.J. Executive functioning, inner speech and maltreatment. Reading (2013). Kearvell-White, J., Messer, D.J., Henry, L.A. & Faulkner, D. Executive functioning and adolescents on the register of special educational needs. Reading (2013). Poloczek, S., Büttner, G., Danielsson, H., Henry, L., Mähler, C., Messer, D., Schuchardt, K., Van der Molen, M. Welche Jugendlichen mit intellektueller Beeinträchtigung setzten welche verbalen Merkstrategien ein? Hildesheim, Germany (2013). Kirke-Smith, M., Henry, L.A. & Messer, D.J. Childhood maltreatment: Developmental Effects on Executive Functioning During Adolescence. Strathclyde (2012). Messer, D.J., Henry, L.A., & Nash, G. Executive functioning and decoding in young people with and without language impairments. Strathclyde (2012). Danielsson, H., Henry, L., Rönnberg, J. & Nilsson, L-G. Executive function in Williams and Down Syndromes. Trieste, Italy (2012). Henry, L., Büttner, G., Danielsson, H. , Mähler, C. , Messer, D. , Poloczek, S. , Schuchardt, K., & van der Molen, M.J. Memory, Intellectual Disabilities and Strategies (MIDAS): A Cross-European Study. Trieste, Italy (2012). Kirke-Smith, M., Henry, L.A. & Messer, D.J. Childhood Maltreatment: Developmental Effects on Executive Functioning during Adolescence. Trieste, Italy (2012). Poloczek, S. , Büttner, G. , Danielsson, H. , Henry, L. , Mähler, C. , Messer, , Schuchardt, K., & van der Molen, M.J. Memory and Verbal Strategy Use of Adolescents With Moderate vs. Mild Intellectual Disabilities. Trieste, Italy (2012). Messer, D.J., Henry, L.A., & Nash, G. Executive functioning and decoding in young people with and without language impairments. Utrecht, the Netherlands (2012). Henry, L.A. Working memory and metacognition: Early development and relevance for reading and maths. Exeter, England (2011). Henry, L.A., Messer, D.M. & Nash, G. Working memory and reading achievement in children and young people with specific language impairment. Exeter, England (2011). Kirke-Smith, M. Henry, L.A. & Messer, D.J. Childhood trauma: Developmental effects on executive functioning and inner speech during adolescence. Berlin, Germany (2011). Bettenay, C., Henry, L.A. & Ridley, A. Suggestibility and anxiety as predictors of performance in children undergoing cross-examination. Dundee, Scotland (2011). Messer, D.J., Henry, L.A., & Nash, G. How specific is specific language impairment? City University London (2011). Ridley, A., Henry, L., Perry, J. & Crane, L. Perceived credibility and eyewitness accounts of children with intellectual disabilities. Dundee, Scotland (2011). Henry, L.A., Bettenay, C. & Ridley, A. Individual differences in suggestibility and anxiety of children undergoing cross-examination. Glasgow, Scotland (2011). Henry, L.A., Messer, D. & Nash, G. Identifying children with specific language impairment: Measures of working memory and executive functioning. Malta, November (2011). Danielsson, H., Henry, L., Rönnberg, J. & Lars-Göran Nilsson, L-G. Selective problems in executive function in adults with intellectual disability in the Betula database. Rome, Italy (2010). Carney, D., Brown, J. & Henry, L.A. Executive function in Williams and Down syndromes. Goldsmiths University, London (2010). Henry, L.A. & Messer, D.J. Verbal and non-verbal executive skills in children with specific language impairment. Goldsmiths University of London, London (2010). Henry, L.A., Messer, D.J. & Nash, G. Educational implications of deficits in executive functioning for children with specific language impairment. Frankfurt, Germany (2010). Messer, D.J., Henry, L.A., & Nash, G. The relations between executive functioning and language in young people with SLI and in typical comparison groups. Goldsmiths University, London (2010). Bettenay, C., Henry, L.A. & Ridley, A. Direct and cross-examination performance of children with intellectual disabilities. Norway (2010). Danielsson, H., Henry, L., Messer, D. Executive functions in children with intellectual disabilities. Geneva (2010). Henry, L.A., Constandinos, A. & Dunne, D. Dynamic learning and working memory in adults with autism and intellectual disabilities. Geneva (2010). Henry, L.A., Messer, D.J. & Nash, G. Are there domain specific deficits in executive functioning in children and young people with specific language impairment? Geneva (2010). Nash, G. , Henry, L.A., & Messer, D.J. Verbal and non-verbal fluency in children with Specific Language Impairment. City University London, London (2010). Henry, L.A., Messer, D.J. & Nash, G. Executive functioning in children with specific language impairment. Granada (2010). Henry, L.A., Messer, D.J. & Nash, G. Executive functioning in children with specific language impairment: More preliminary findings. London (2010). Bettenay, C., Henry, L.A. & Ridley, A. Good counsel? Resistance to cross-examination of children aged 5 to 11 years with and without intellectual disabilities. London South Bank University, London (2010). Carney, D., Henry, L.A. & Brown, J. Executive functioning in children with Down and Williams syndrome. Geneva (2010).